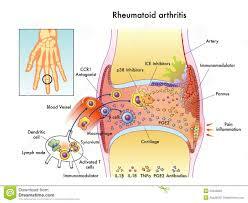 A lovely lady contacted me by phone yesterday with questions about rheumatoid arthritis (RA). I would love to help and support the person that she was calling about but it is such a complex ‘pathology’ that advising certain herbs would be irresponsible. 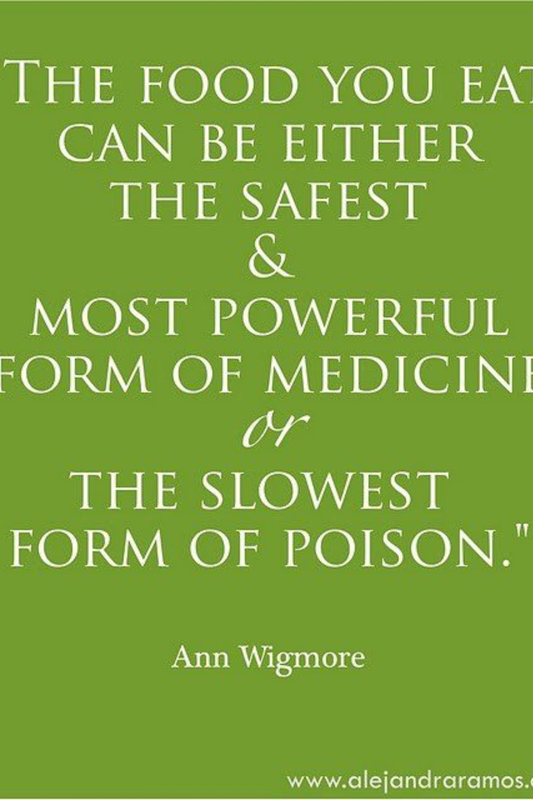 As with most chronic health issues I always advise that they are best to come and see me for a consultation. The herbal consultations that I give usually last an hour and are an investigational process where all aspects of health and wellbeing are looked at. The different body systems, past history of health, family history, diet, lifestyle, emotions, even physical signs are assessed such as blood pressure, pulse and tongue diagnosis. When someone is coming with specific issues a physical examination of the area in question can also be done. Getting a whole-istic view of the person and their health issues enables me to know which herbs would be beneficial for them and also gives me the information I need to tailor personalised dietary and lifestyle advice for them as well. So because of yesterdays enquiry I said that I would blog about rheumatoid arthritis. Do you know what it is? There are hundreds of different forms of arthritis – osteo- and rheumatoid being the most common and well-known. 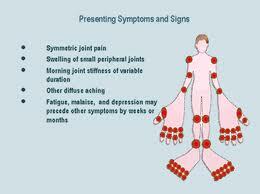 It is a chronic inflammatory disorder of the musculoskeletal system mainly affecting the joints. But unlike osteoarthritis which affects the weight-bearing joints (in part due to wear and tear) rheumatoid arthritis mainly affects the hands, wrists and feet (but can affect the knees, spine and other joints in the body). Women are more likely to get RA than males and white people are more affected than other ethnicities. The majority of cases occur between the ages of 25-59 and it has been seen that the contraceptive pill may offer some protection against the development of the disease. At present modern medicine cannot give an explanation as to why people get RA and others don’t. There are two main theories as to the cause. It is proposed that RA is caused by an infection which has triggered the rheumatic response and the second theory is that it is due to the immune system not working properly and attacking its own constituents because it cannot recognise self anymore. People are diagnosed with RA when they present with the following criteria: arthritis of three or more joints, arthritis of the hand joints, symmetrical swelling of the same joint areas, serum rheumatoid factor (determined by a blood test) and radiographic features of RA. 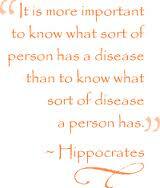 There are hereditary patterns with this disease too. The onset is usually gradual, people can feel fatigued, have a low-grade fever, have joint stiffness and weakness and vague joint pain at the start, it can develop into painful swollen joints after several weeks. Several joints are usually affected in a symmetrical fashion. The affected joints are usually warm, tender and swollen, and the skin can take on a ruddy purplish hue. The severe joint pain is accompanied by severe inflammation in the small joints but can progressively affect all joints in the body and result in the erosion of the bone and cartilage and the development of nodules around the joints which can be debilitating. Unfortunately doctors look at prescribing aspirin and nonsteroidal anti-inflammatories followed by anti-inflammatories, immunosuppressives, and corticosteroids as the disorder progresses – a symptomatic approach which doesn’t look at the cause. Also a lot of these drugs can cause side effects such as digestive upsets, headaches and dizziness and ironically aspirin and NSAIDs can increase the ‘leakiness’ of the intestinal lining and accelerate the faulty immune response responsible for this disease. Long term use of corticosteroids is not advised in sufferers of RA due to the side effects that they case. 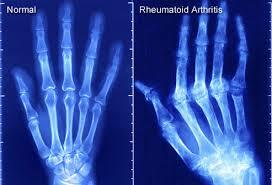 In the most severe cases of RA joint surgery and replacement are considered. RA can be a complication of many other autoimmune diseases such as psoriasis and can be aggravated by a ‘leaky gut’ – where the digestive system is inflamed and semi-digested food particles enter the bloodstream. 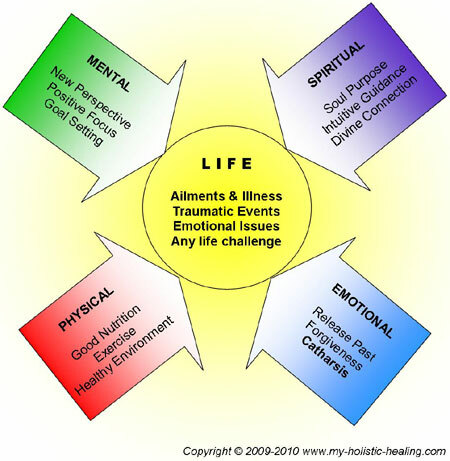 Physical or emotional stress as well as poor nutrition may be involved in the onset of the disease. Other common symptoms which accompany the joint pains and inflammation include: weight loss, feeling ‘out of sorts’, anaemia, osteoporosis (fragile bones), depression, muscle wasting, peripheral water retention, nodules, carpal tunnel syndrome, swollen lymph nodes, infections etc. The progression of RA is variable and depends on the individual so it isn’t possible to predict who will develop severe symptoms. In general 25% remain fit and can function effectively, 40% have moderate impairment, 25% are quite badly disabled and 10% become wheelchair patients. If there is anything that I have missed out about rheumatoid arthritis and its pathology (how it affects the body) please do not hesitate to contact me and I will be happy to explain. Herbal treatment varied in accordance to the individual needs. The joy of herbal medicine is that it is tailored to suit the persons needs and can be altered to suit the changing requirements. When seeing a patient with RA the prescription may have to be changed several times before progress is made. In general Ra is not found in societies that eat a diet more in tune with our ancestors. The western diet is linked to the rate of incidence of RA. 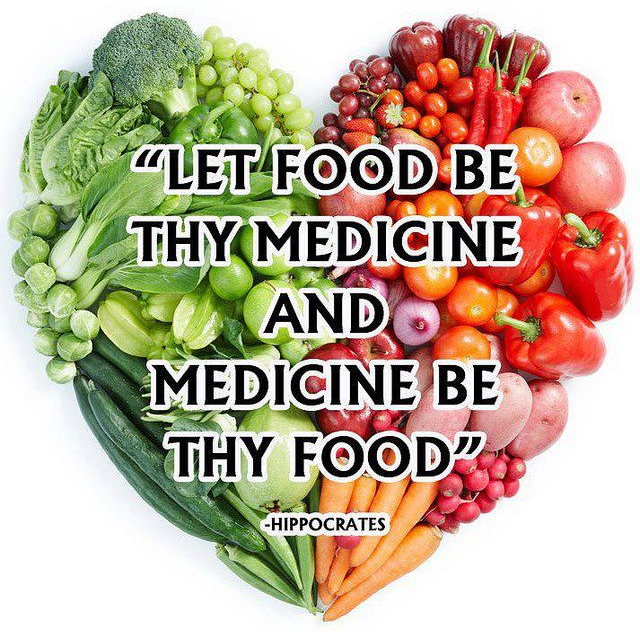 Eating a diet rich in wholefoods, vegetables and fibre and low in sugar, meat, refined carbohydrates and saturated fats help with the prevention and possibly the treatment of RA. There is strong scientific support for the roles that food allergies and dietary fats play in the inflammatory process. A diet high in seafood is beneficial for most rheumatic diseases. Therefore if you cannot add a lot of seafood to your diet please look at supplementing with fish oils or take 1 tablespoon of flaxseed oil daily. Eat 2-3 servings of baked, broiled or pickles fish weekly. Herring, mackerel, sardines and salmon are natural sources of omega 3 fatty acids which counteracts the effects of inflammatory omega 6 fatty acids. It may be worthwhile becoming a vegetarian if you have been diagnosed with rheumatoid arthritis. A study in Norway discovered that vegetarian foods normalised the dietary fatty acids and reduced inflammation in rheumatic disorders. During this study the patients were allowed only garlic, herbal teas, vegetable soups and juices/smoothies for the first week or two and then meat free and gluten-free food was introduced and alternated each day. 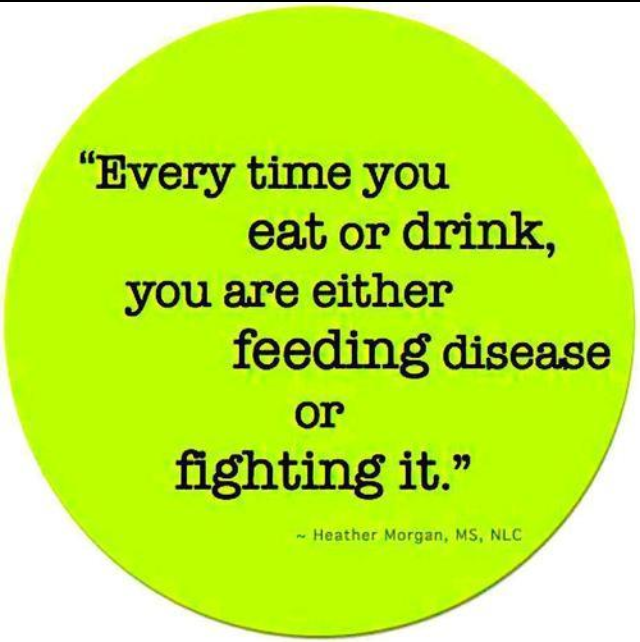 Limit your consumption of beef, eggs, refined carbohydrates and sugars and animal fat. These foods contain omega 6 fatty acids (pro-inflammatory). Avoid lemons and lemon juice as it can contribute to the excretion of calcium from muscles and bones. Supplement high doses of Vitamin C to support the body in preventing/reducing the damage to the synovial membranes of the joints. If you experience anaemia and/or muscle wasting as part of your RA you may not be getting the right nutrition in your diet. Add turmeric and celery to your diet regularly. A low salt, low-fat, high oily fish diet also benefits RA. Where possible aim to cut out all gluten and dairy products. Physical therapy can benefit people who have RA – look at introducing exercise/activity into your lifestyle on a regular basis. Perform 3-10 repetitions of range of motion exercises daily such as flexing the knee back and forth as far as it will go in both direction. Use swimming as your primary form of aerobic exercise – it is easier on the joints than land-based exercise. Heat and cold can both have a relieving effect on the painful joints – alternate with hot and cold compresses to support the reduction in inflammation. In the morning take a hot shower or bath to help relieve morning stiffness. Massage can be beneficial, especially in the early stages of RA – go to a professional, or if you cannot afford this research how to massage the joints in the affected areas and self-massage on a regular basis. I have chosen not to give herbal remedies which benefit RA in this article because of the health implications that there are. Botanicals which may benefit RA may aggravate other health issues such as increasing blood pressure, speeding up/slowing down the metabolism of pharmaceuticals and affecting the hormones within the body. I implore anyone who experiences this disorder to contact myself for a consultation where we can work together to aim at improving your quality of life using herbal medicine and dietary and lifestyle changes. This entry was posted in advice, anatomy and physiology, arthritis, biochemistry, Complementary and Alternative Medicine, diet, digestion, Do your bit, female health, Grimsby, Health and Wellbeing, Herbal Medicine, herbal remedies, Herbalism, how to, nutrition, stress, wellbeing and tagged chronic inflammation, pathology of rheumatoid arthritis, RA, rheumatiod arthritis by Herbs for Health and Wellbeing. Bookmark the permalink. Good Blog sir… your blog is very helpful… I am happy to find this post very useful for me, as it contains lot of information. I always prefer to read the quality content and this thing I found in you post. Thanks for sharing.